With staycations on the rise, it’s no surprise that an increasing number of us are choosing to explore the many resort-style outdoor living options the outdoor living design professionals can create right in the comfort of our own backyards. Depending on the architecture of your home and the ambiance you want to create, any one of these Tampa Bay outdoor living trends will be sure to help you create the outdoor space you have always dreamed. Another great option to incorporate into your outdoor living space (or into your open air living room) is a fire feature. A hearth or fireplace is a classic choice, while fire tables, fire bowls and cauldrons will add flair and aesthetic excitement to your Brandon backyard once the sun goes down. Design an outdoor living space that will evoke a sense of peace and tranquility by creating your very own meditation and yoga garden. Pick a spot that is quiet, that offers a view, and then start incorporating items like water features (the sound of running water is sure to soothe away any stress), air cleansing plants and shading. Expect to also see an increase in water and energy saving outdoor living spaces. There will be a major upswing in eco-friendly landscaping ideas this year, too, where plants and flowers that are native to our local environment will be in greater demand than ever! Keeping plants lush and green during the hotter spring and summer months can be a challenge, which is why we expect to see an increase in synthetic backyard landscaping materials used this year. Artificial turf, stones, and plants can naturally add elegance and freshness to any Tampa Bay outdoor living space. 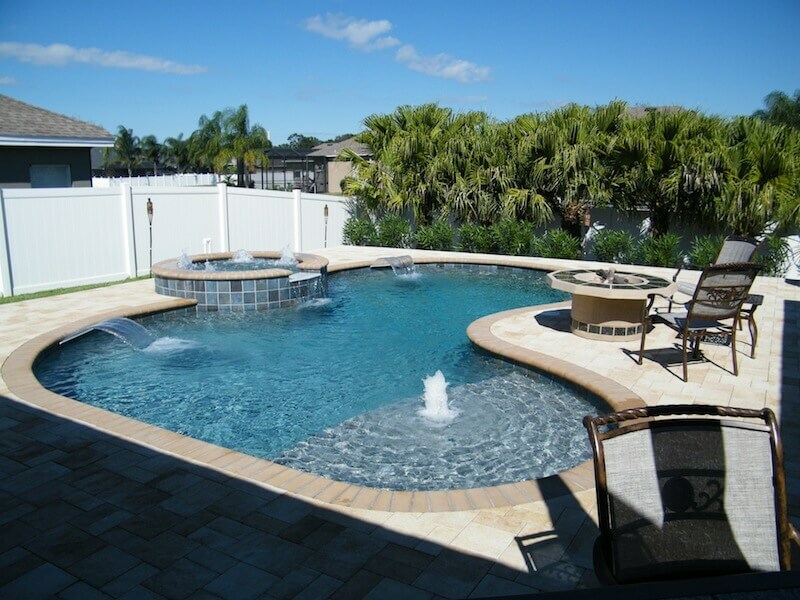 Tampa Bay Pools is your destination for the ultimate backyard. No matter your style, we can design and build the backyard of your dreams. From swimming pools to decks, patios, and outdoor kitchens, we can transform your backyard into your favorite living space, whether indoors or out. Start building your idyllic Brandon outdoor living space today by giving us a call at (813) 684-3639.